The field in which we surround ourselves affects our mood, mindset and anxiety levels. By field I don’t mean rolling meadows and fields of flowers, it is simple a term I use to explain our surroundings –our home, workstation, neighborhood, the people around us. Spend a few minutes in your most frequent surroundings alone and make sure there is the least amount of stress triggers as possible. For example, if a clock ticking is a trigger for you as deadlines are looming, replace the͞ “ticking clock” with a digital one so that ticking doesn’t keep causing the same cycle. If you do this with all your environments and replace/reposition items that contribute to your stress, it will be more supportive of your new stress free approach. When you are ready to eliminate stress from other areas in your life other than just your environment this can also be done, for example the people around you –although this can be tricky it is achievable. No, I’m not saying unfriend everyone from Facebook or become a hermit never seeing people ever again. Though I am asking you to be aware of the people you usually surround yourself with. Are they happy, relaxed, honest, reliable people or are they stressed to the max, complaining and unhappy with their life and make a point of telling everyone about it? If these negative, stressful people are unavoidable you will be able to use some of the other tools to assist you but if you can perhaps distance yourself from a few of these people for a short time until you are able to implement some new strategies so you are no longer triggered to spiral out of control alongside them, that will enable you to work on managing your stress levels. This same principle can be used for stressful situations –if they can’t be “stress proofed” ͟or avoiding these situations isn’t really an option then again one of the other 7 tools may be what can set you up for the best outcome. Totems are another of these 8 tools. What I mean by a totem is an object that can bring you back to a sense of peace and tranquility. For some people a photo of their family is something that brings them peace, a gift made by your child, being at the beach, a bubble bath, fishing, sleeping under a tree, whatever it is that brings you bliss or makes you happier even during sadness. You need to have little reminders of this in your field. Your totem –could be a leaf, a shell, a little bottle filled with sand, a picture or photo, a fishing lure. Find a way to capture that feeling in totems so when you become triggered or start feeling that overwhelm or stress begins to creep in you have your little reminders around you. Now onto nutrition; there is so much supporting evidence regarding how the foods we eat contribute to our mood. The research behind the effect nutrition has not only on our body but also our brain is incredible. I have come across a nutritional program that is second to none and actually helps to re-balance our bodies and has helped me with mental clarity and alertness, energy and I know I am getting more nutrients with this program than I get from my organic produce. I’m not here to sell this (however if you are interested I can give you information), all I am saying is if you fill your mouth with junk, you will be filling your body and brain with the same junk. Eat nutrient dense whole foods rather than processed or packaged foods as an awesome start to helping your mind and body. Being present in the moment you are living is another of these wonderful tools. If you were to focus on only what mattered in the moment in time you were living, right now would you be worried or stressing about something that happened minutes, hours, days, weeks, months, or even years ago? No, if we can learn to accept that we have all been through “stuff” that will have changed who we are, and we all accept that we have the chance to move forward by acknowledging what was, accepting what is, and not allowing the past to be influencing our present, we wouldn’t be experiencing as much stress. Similarly, if we are constantly worrying about what MIGHT happen in the future, what someone MIGHT think or MIGHT say, we will go through life with worry which is only expanding our stress. If we can learn to live in the moment, so this moment in time is all that matters right this minute we would find more peace in our day. Is this hard, absolutely will you need support, yes. 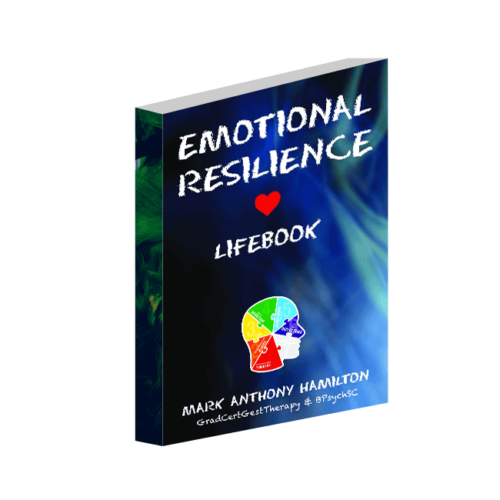 Our 7 Steps to Empower your Emotions workshop actually helps each person with past hurts, so you can see where your past is triggering your current stress and will help you put these hurts/situations/events to rest so you can move forward. You can think of energy as eating food, the better the food the better the outcome. Our unconscious energy comes from our past, our experiences and the two relate. Sometimes we become trapped within our own energy and are unsure how to boost our energy; our society now believes that sugar is a good way to do this, however just continues the roller-coaster cycle. You also might have heard that exercise assists a person’s depression symptoms –it is for this very reason, our energy is shifting within us via a physical activity. Become more active and use that to release your anger moments –Use it to benefit you not hinder. Every single encounter through our life will change the energy flow, mad, glad, fear, shame, joy –Each will manipulate one another –depleting the energy from the weakest link. 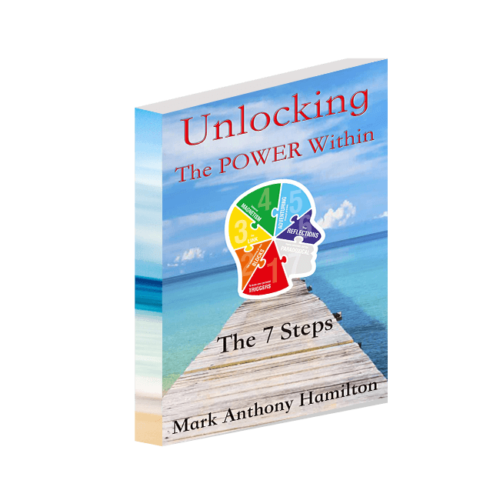 When we focus on improving our weakest links we can empower them so they are no longer weak, using the 8 tools and implementing our 7 steps will Empower you to live a life with much lower stress. When we become overwhelmed more than half of our brain gets bypassed during our Fight, Flight, Freeze mechanism (FFF). This is our biological reaction to help us in extreme situations. The only problem is that now our bodies and brains are constantly stressed so we are living more of our days in this FFF so we are running on auto pilot. There is breathing techniques that can help many people calm immediate stress/anxiety “attacks” to help the stress deplete and the brain to go back to full functionality. So the technique is quite simple you breathe in for 3 seconds, hold for 3 seconds, then out for 3 seconds and repeat 3 times. This is a break-free method to reset the brain; it is effective but is also only reactive rather than reducing the trigger that began the stress/anxiety. As we all live a busy life, it is paramount to take time out for yourself. Just 3 minutes a day will help your brain relax and re-set yourself. Ideally, this would be great to do a few times a day or before and after a high brain load task. All we ask is that you try this for 3 weeks, as the small time taken out for yourself, even during work on a toilet break, or a lunch break will enable you to work faster and be more productive. Lastly, approach everything that you do with a positive intent. This sounds simple, however a difficult task, especially when our subconscious takes over. When you live a life with positive intent you can’t go wrong. There will be times when you disagree with other people; however, if you assume they are acting with a positive intent you won’t react thus reducing your stress. If you always come from positive intent and assume others positive intent your day will be much brighter. So to quickly re-cap these tools ensure your field supports your stress free living, have totems with and around you that will help you at times when you are triggered, fuel your mind and body with top quality nutrition, living in the present moment rather than in the past or future, shift your energy daily, breathe if you do experience extreme stress to help your mind relax, give yourself a few minutes every day to just be you and be happy in the moment, and remember assume everyone has a positive intent and approach life with a positive intent towards others and yourself.